Action Lawn & Landscape provides expert solutions to all your landscape irrigation issues. 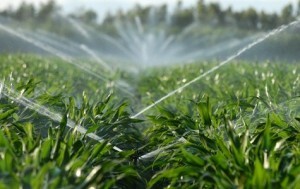 Our team of irrigation specialists has over 15 years of experience with sprinkler systems in Reno, NV. We know that irrigation is the cornerstone of good landscaping; without reliable water in the right places, every landscape plan will fail. We know irrigation. We know how much water each plant needs and we know the most effective ways to deliver that water to keep your plants healthy and your water bill down. Regardless of the size and scope of your project, our irrigation team will get your garden and lawn sprinklers up and running, handle any system or sprinkler repairs promptly, and keep the water flowing to all your landscape elements. Complete diagnostics – Our technicians can provide estimates on repairs needed. Want to know more about how automatic sprinkler systems work? Tired of dealing with hoses and watering by hand? Looking for helpful watering tips? The videos below will take you through the basics of automatic irrigation — including how an irrigation system works, the different types of sprinklers and components used in a system, and some key terms and concepts like water pressure, flow rate and valve zones.